Some of the most popular forms of entertainment on the internet are various types of videos. Tons of video websites such as Youtube and Hulu have gained popularity for watching videos on the web. Whether they are video blogs, music videos, television shows, movies, or even comedy, people are watching videos online more now than ever before. This development has brought to light a vast amount of both potential innovations as well as technical problems. Delivering high-quality and High-Definition video is one of the latest and most difficult challenges faced by the Internet Protocol (IP). Efficient delivery, low loss transport, and wide-ranging bandwidth, demand requirements make video over IP seem like a stubborn problem for computer users. The latest video over IP bandwidth technology seeks to eliminate or at the very least lessen these types of problems which then provides each user with a more streamlined and faster viewing of a video at a much higher quality of resolution. Internet protocol and its networks have advanced to support more than just simple data transfers. 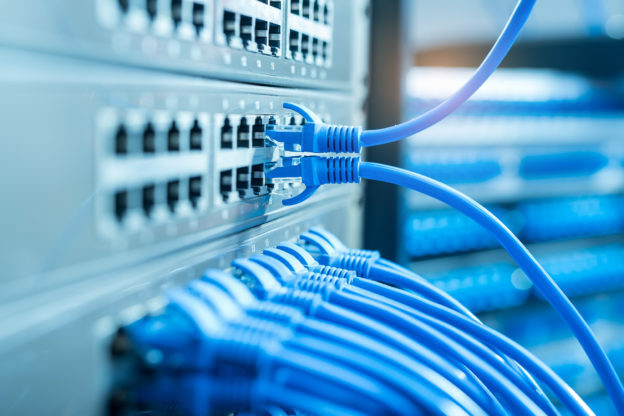 The development of technology has allowed greater bandwidth in IP infrastructures, which has allowed the development of triple play (video, voice, and data) over IP networks. By putting a video together with voice and data services provides benefits beyond the cost decrease of using a common structure. In addition, new and improved features for computer users can be developed. As for marketing, ads personalized for the user or region can be inserted in a subscriber’s preferred video content. Internet protocol has already been helping develop different ways in which video content is delivered. Video has quickly grown in popularity on the internet, and IP allows videos to be delivered to users both quickly and efficiently. Video over IP brings new opportunities and a large assortment of technical and business challenges for both IP networks and service providers. These challenges can only be worked out as the technology grows and develops; we are on the frontier of a new wave of technology that will only continue to improve and transform into something that will be used widely across the globe. Audio/Visual Technology such as video over IP bandwidth is in high demand not only for entertainment value but also for use in big business and corporations. Many companies are now looking into video to both attract and inform new and potential clients as well as provide new ways to communicate within their company. As this technology develops further, the way businesses market themselves transforms into a much more cinematic process. Without a doubt, Video delivery over IP presents so many different business and service opportunities. Of the three services in triple-play, video demands the most from the networks, so it greatly affects the IP. In a well-designed IP network, as well as with the help of proper service management tools, several service providers have successfully installed and activated large-scale video over IP services offering high definition content. With newfound technology and opportunities, content providers are reaching out to the growing Internet population not only as viewers but also as content producers.